I think it’s fair to say that 99% of all women wrap their hair in a towel turban after washing it. This is something I’ve personally done as far back as I can remember, and I never thought there’d be any harm in it at all. It was only recently however, that a hair stylist noticed all the baby-hairs around my forehead and asked me about my hair care rituals. Upon discovering that I do the hair-turban wrap thing every time without fail, she proceeded to educate me. She explained how the weight of the towel pulls at your roots, particularly the hair at the very front of your hairline. The stress of the towel on wet hair easily causes breakage pretty, especially since your hair is wet and at it’s most vulnerable. Over time, this can actually cause your hairline to recede. And don’t be fooled! Even smaller towels or dedicated light-weight hair turbans aren’t that much better, the twisting motion is what causes half the issue. Also, avoid microfibre towels, as hairs tend to get trapped easily within the material causing ripping and static. What to do instead: Use a soft fluffy towel to gently squeeze off excess water, and if time permits you should always allow your hair to air-dry. If you need to use a blowdryer, use on a low (cool) setting to prevent the hair dehydrating from the blowing tunnel of dry heat. The comfortable, go-to pony tail to keep even the tamest of hair from becoming a major-league birds nest upon waking up turns out to be no good. This is another bad hair care habit I’ve had since growing hair past my shoulders, and was none the wiser to it’s damaging ways. Turns out, all hair bands, even the ones designed to reduce tension and be kind to your locks are actually the enemy. 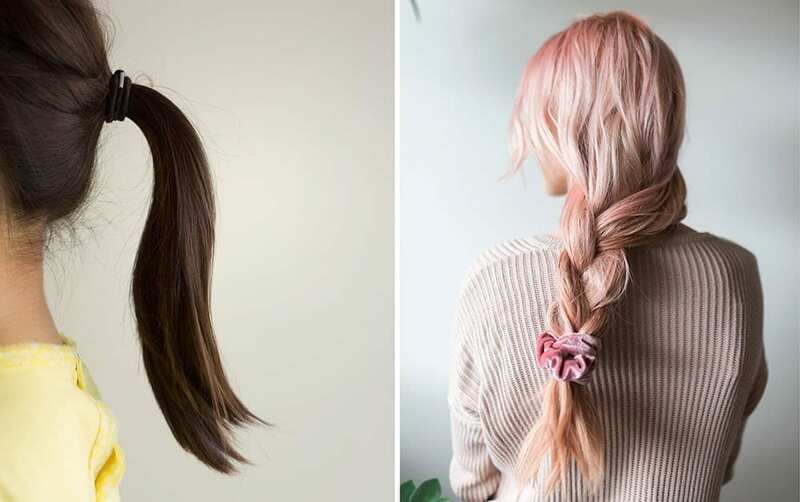 Loose ponytails during the day are not so much the issue, however tight pony tails should always be avoided, and even the loosest of ponytails should be avoided when sleeping. The stress that the band causes in holding your hair back results in tension at the follicle, making it prone to breakage and being prematurely plucked from the root. This can cause hair to become weaker, and can often result headaches, especially if you have long, thick or generally heavy hair. Ponytails, although convenient, are a big culprit for creating frizz and fly-aways. What to do instead: Consider switching hair styles or using a clip to keep hair back, instead of a band. In bed, using a silk pillowcase can dramatically reduce friction on the hair as we toss and turn through the night. Alternatively, fixing a silk scarf over the head is another option. If you’re looking for the least-damaging style to protect your hair during slumber, a braid is the best option. First ensure hair is always dry before sleeping. To nourish and add suppleness to hair, you can use a coin-sized amount of natural hair oil, and brush mid-way through, focusing on the ends. Secure the hair with a silk scarf, or braid the hair as loosely as possible. If braiding, use a large, preferably silk scrunchy to secure the braid at the bottom. Much like with skin care, for hair care less is often more. Using a bunch of harsh over-the-counter products to control oil, add shine or relax the hair can mess with the hairs natural oil-production cycle and have the opposite intended effect in the long-term. Clear out the clutter. Get rid of the bottles of cheapo brands and focus on just a few, more natural hair care products that are probably pricier but certainly worth it. If you’re trying to achieve balance, beating it into submission by lathering all sorts of god knows what over it, or over-washing will not help the situation, only mask it. Ideally 3 times per week for shampooing is the limit, using gentle and naturally-derived ingredients such as the Calia brand or Hair Burst. Of course, if you happen to have a certain scalp condition where you have been prescribed medicinal shampoo, or you need to keep a bad dandruff situation in check, washing may need to happen more regularly. Like with the rest of our body, our hair is greatly affected by our lifestyle. Things like lack of sleep, exercise, stress, smoking, and diet all contribute to hair condition. It’s also important to note that any sudden or dramatic change in hair condition can mean a hormonal imbalance or symptoms of a disease. If you have experienced unexplained hair loss, checking in with a medical professional and being open and honest about any other symptoms may lead to an accurate diagnosis and a successful treatment. Sometimes, balding is simply ingrained in your genetic makeup and there’s not much you can do to prevent it. Making efforts to lead a healthy lifestyle, from a balanced diet rich in fruits and vegetables, to regularly exercising and finding time to relax is all important. Hair, like our skin and nails, will show signs of an unhealthy lifestyle eventually. 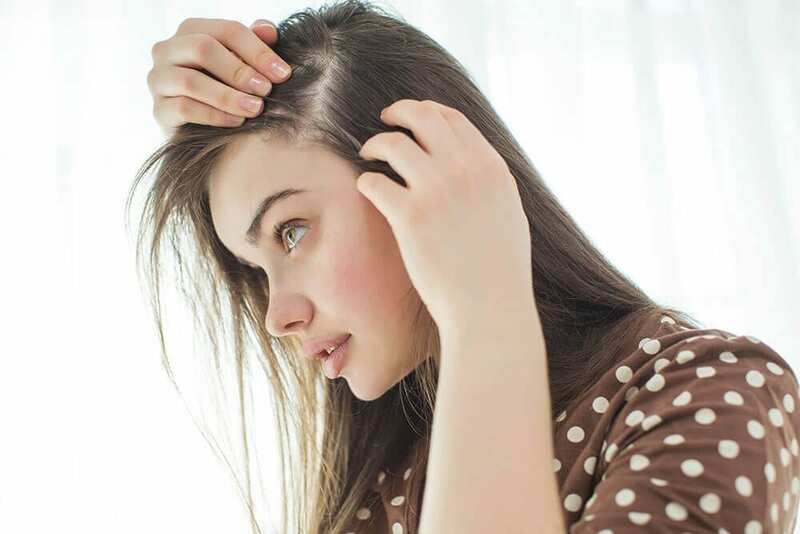 In order to keep hair forming and growing at optimum capacity, we need to make sure there are enough essential nutrients in the blood to feed this process. If you want to ensure you’re getting enough of these nutrients daily, you can take a naturally sourced food supplement to support hair during a growth or transformation. 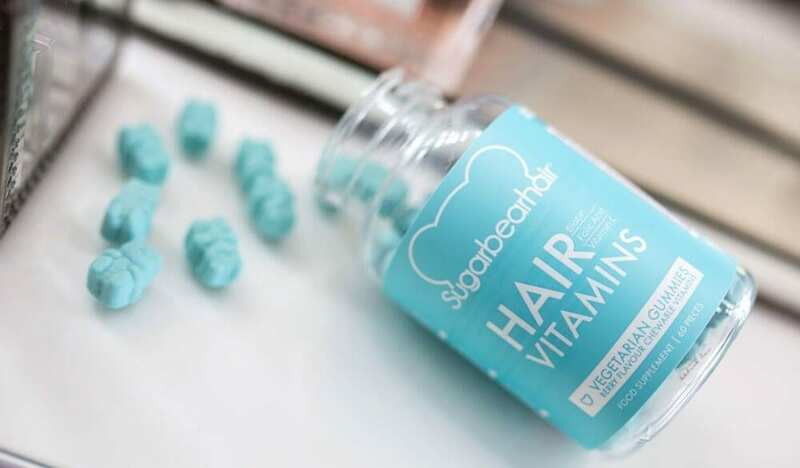 Trusted brands that are not harsh on the stomach include Sugar Bear Hair and Hair Burst.